It's not only smaller, younger developers who have to worry about cloning. Idea theft is on the minds of the people at Epic Games, too. 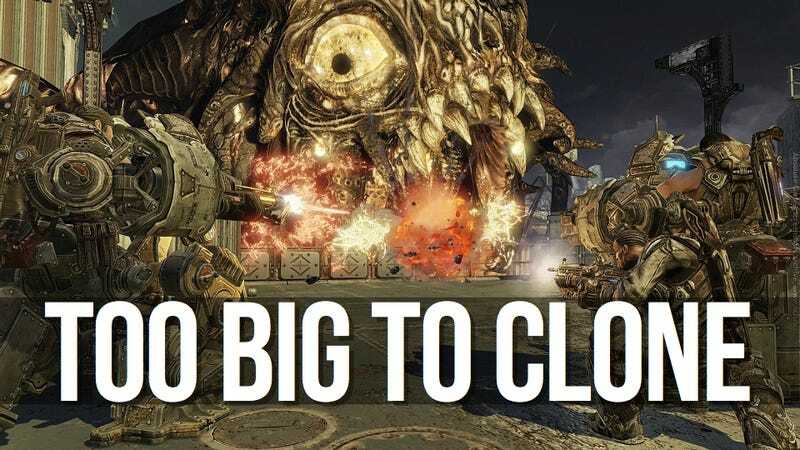 Even though they make big, burly games like Gears of War and Bulletstorm, the developer still sees themselves as an indie, said Epic CEO Tim Sweeney. People could try and do what Epic does, he offered, but the studio's titles have size on their size. At GDC 2012's Back to the Garage panel, indie developers past and present like Jordan Mechner, Tim Sweeney, John Romero, Adam Saltsman, and Markus Persson talked about the joys and hazards of making games outside a big corporation. Sweeney said that Epic's core ethos "is to make games from high-end technology." "You can do that with 3 people and 300 people" he continued. "The skills are portable. Things you learn making a AAA game can be used to make a smaller game." As the subject turned to imitators, Sweeney declared that "we've decided to make games that a Zynga couldn't clone. Make games too big so that cloning takes longer and the opportunity window closes. Also, we try to find a special sauce at Epic for our games that others can't replicate." Then, he said, get your game to go big quickly so that you're seen as the inventor and then it's others that get branded as the copycats. "When you have a success, it's easy to capitalize on what you already know. But at Epic, we're really good at knowing when to zig and when to zag," Sweeney noted. "We made Unreal on PC and then moved to console because that's where the sweet spot was. Now, we're making games on the iPhone because that's the platform of the moment." So there you have it. Indie studio/engine builder Epic Games' recipe for keeping their concepts their own. Try and copy if you dare.